This Faberge style trinket box is constructed from pewter mostly. 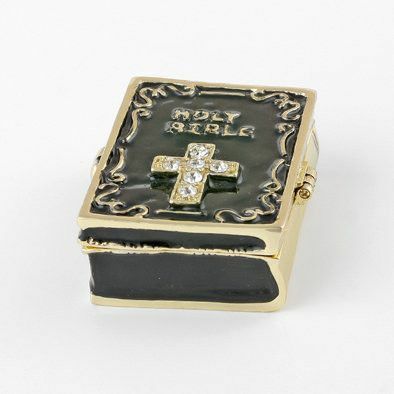 This wonderful Holy Bible keepsake box is hand enameled, and decorated with Austrian crystals. 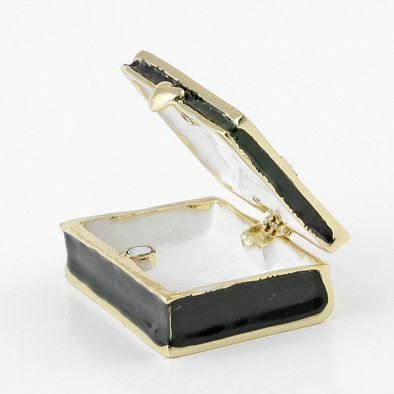 This box is hinged, and features a magnet for a clasp. The magnet enables the box to open easily, but close firmly. 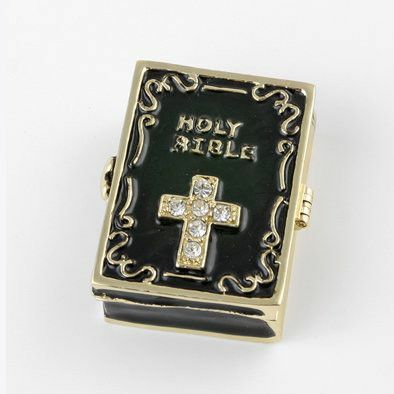 The cross on the Bible is adorned with 24k gold plated accents around the edges. Perfect keepsake gift for the collector or someone special on your gift list.